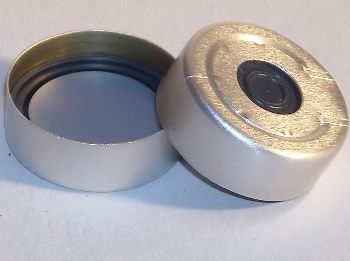 Pressure release aluminum crimp caps for all 20 mm Headspace GC autosampler vials, including Agilent, Hewlett Packard, CTC, PerkinElmer, Tekmar, and LEAP vials. 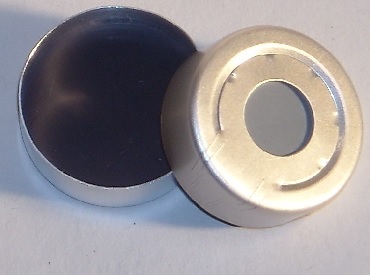 PTFE-faced gray butyl rubber septa. For use with water matrix samples. Recommended for use from -60 to 200° C. Preassembled.